Please submit all of the HASTS forms below to the Academic Administrator, Karen Gardner, in E51-163f. The first year paper should be submitted to the instructor by the end of the first year and must be accepted by the beginning of the second year. It must be approved by both the supervising faculty member and the Director of Graduate Studies. Ordinarily, a principal advisor should be chosen no later than the beginning of the second year of study. The principal advisor should be a faculty member in STS, History, or Anthropology. It is the student's responsibility to initiate contact with the desired principal advisor and request his or her assent. The second year paper should be a substantial research paper of publishable quality. Students should submit their papers by the end of the fourth sememster and finish all revisions by the beginning of the fifth semester. Students cannot take general examinations until the second-year paper is approved. Students must complete the language requirement prior to taking their general exams. The requirement is to demonstrate reading knowledge of one language other than English. This is usually done through the completion of a reading course or a placement exam. No substitutions (of computer languages or competence in a scientific discipline, for example) will be permitted. HASTS students who are taking independent reading subjects need to complete this form and turn it in to the Academic Administrator by the end of the first week of classes. The General Examination Committee is selected by the student in consultation with their primary advisor. The committee is comprised of the primary advisor and two additional faculty members who have supervised the student's preparations for the general exams. Students must complete the Checklist for General Exams prior to scheduling their general exams. The checklist can be downloaded and completed by the student, or a customized form can be printed from the Academic Administrator's database. 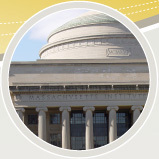 Students should prepare at least one proposal for dissertation research funding from outside MIT. Students must submit the proposal by the granting agency’s deadline and a final copy should be submitted to the Academic Administrator, and the student’s principal advisor. The funding agency’s decision has no bearing on the student’s completion of this requirement and will have no impact on a student’s status within the program. The disseration committee is selected by the student in consultation with the principal advisor. The dissertation committee will approve the dissertation proposal and become readers of the dissertation. When the dissertation proposal and presentation are complete and approved by the student’s dissertation committee the student should obtain the appropriate signatures and submit to the Director of Graduate Studies.